Roxanne & Steve envisioned a Wine Country weekend getaway for their big day, and Trentadue Winery was the perfect backdrop for this. Through subtle pastel tones, romantic, rustic accents, and with the help of Trentadue Winery's lush surroundings, this venue was transformed into the perfect outdoor vineyard setting. Gina's Floral Enchantment designed dreamy blooms for this event, only accenting the natural beauty with soft, pretty details. The dream these two had for their special day really came to life through the lens of Jennifer Bagwell Photography's visionary eye, and Front Side Film's compilation of footage. 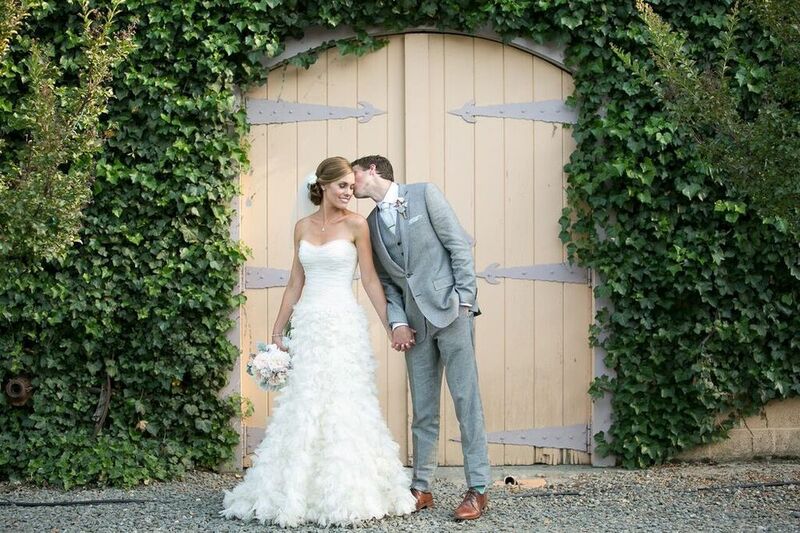 While this event nodded to the simple & organic aesthetics of the winery setting, there were several personal touches that created a unique and special atmosphere for the bride & groom. From the customized marquee bar sign, to the love stories hand selected by the couple and incorporated throughout the event, the attention to detail did not go unnoticed. We incorporated rustic whitewash farm tables, coupled with handmade runners. Each table was adorned with handmade table numbers, vintage crystal vases (all hand sourced by our crafty bride), and collections of love stories that the couple gathered during their one year engagement leading up to the big day. This group was full of fun. They sipped on wine-based cocktails, noshed on wine country delicacies, and enjoyed cordials and cigars throughout the evening. After dancing the night away under chandeliers and a garden gazebo, guests bid them a farewell with sparklers.